Based on the shape of a bomber jacket and made out of the finest new wool mix, this jacket has a ribbed collar and a front press stud fastening. 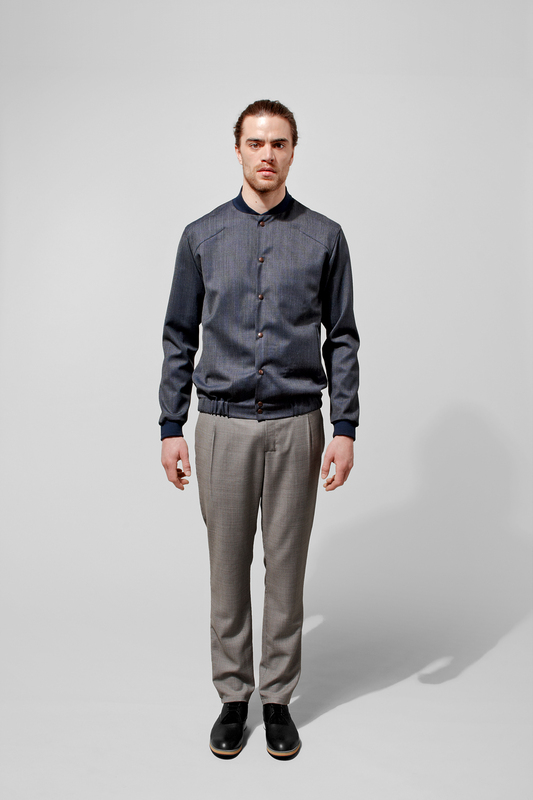 A regular fit with 2 practical front pockets, ribbed cuffs and an elastic hem. It is including a contrast cotton lining. A tailored style, these tapered leg–trousers are made from the finest new wool with a textured finish. Fastening with a zip fly, they have side seam and back pockets.